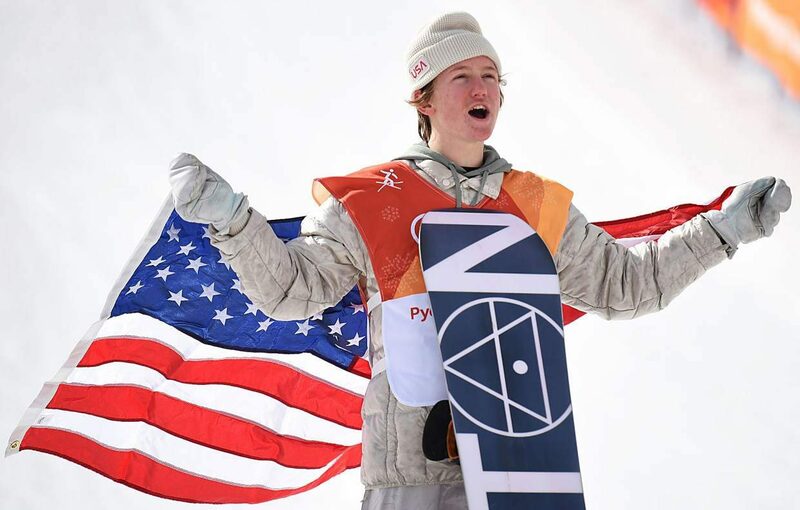 Red Gerard celebrates after winning a gold medal Sunday in the men’s snowboard slopestyle event at the 2018 Winter Olympics. BOKWANG PHOENIX PARK, South Korea — Snowboarding is not about the Olympics for Red Gerard. It’s about barbecues with friends while they grind the rails in his backyard, about days in the backcountry filming big drops and powdery turns. He likes the competitions too, he said, in part because he loves hanging out at the pre-event practices. Still, the world’s eyes turned to him Sunday at Bokwang Phoenix Park in South Korea. 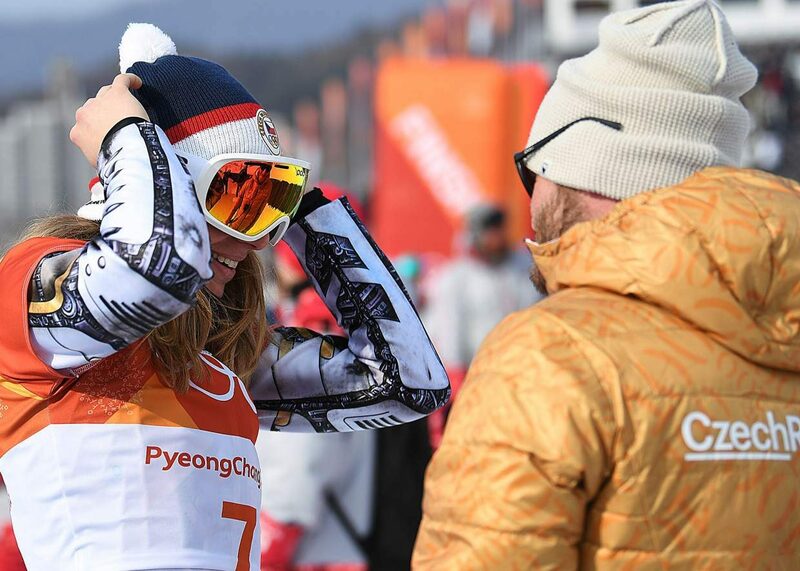 He’d just landed his run, throwing up his arms as he skidded to a big spraying stop at the bottom of the Olympic snowboard slopestyle course at the 2018 Winter Olympics. It was a good one, but he had to wait, wait to see how it would hold up with the best riders in the world coming down after him. He sat down on the snow and looked up at the screen broadcasting the action from higher on the course. He tucked his head in his hands. Then he stood up and put his hands over his head. He walked into the finish area and hugged coaches and high fived fellow competitors, then he was back in front of the screen, waiting and watching, sitting and standing as time drug on. Finally, the moment came. The last competitor, Canada’s Max Parrot, laid down a solid run, extending the drama to the very last second, but his score came in at 86.00, second place behind Gerard’s 87.16. 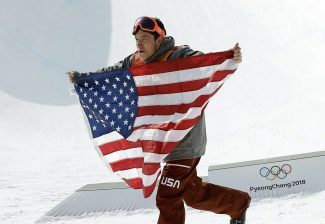 Snowboarding may be about the Olympics for Gerard, but now he’ll always be a part of snowboarding at the Olympics. The diminutive backyard phenom from Silverthorne landed his third and final run in the slopestyle finals, he withstood three of the world’s best and when it was over, he was the gold medalist, the Olympic champion. The brush with gold didn’t change him, at least not immediately. He came into the Olympics claiming it was just another competition for him and indeed he wasn’t overtaken by tears during a short post-event awards ceremony. 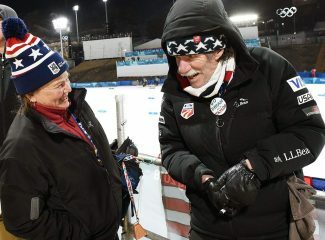 International Olympic Committee president Thomas Bach was on hand for the competition and pulled Gerard aside for a few quick words of congratulations. Gerard’s recollection 30 minutes later? He initially couldn’t remember which conversation reporters were asking about and started talking about congrats he’d received from his favorite actor. Waiting at a press conference an hour after the event, he marveled with coaches not about his run or its potential life-changing effects, but that his Instagram following had rocketed up from 50,000 to 80,000 in the minutes since his victory. It had nearly doubled several hours later. Gerard’s unique style defined everything about his trip to the Olympics and his turn in the gold-medal spotlight. 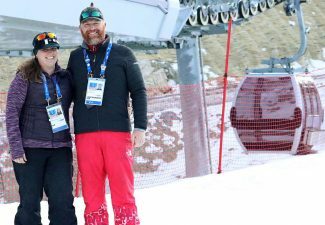 He spent the night before the men’s slopestyle finals not carefully monitoring his diet and soaking up every bit of relaxation, but dining on fried chicken tenders across from Pyeongchang Olympic Park. As it turned out, that attitude set him apart on the course. He didn’t have the biggest tricks of the dozen riders in Sunday’s finals, but he rode unlike anyone else. He sought unique lines through the top portion of the course, which was filled with rails and small kickers. He consistently popped up on a section of quarter pipe, a curved wall of snow. Other riders stayed away because it was too risky. Gerard went because they didn’t. “Going off that quarterpipe, you come up with less speed for that third jump,” said Parrot, the day’s silver medalist. Mark McMorris made it two Canadians on the podium by winning bronze. Gerard hit it twice and struggled, then hit it again on his third run, as well, because why aim to place fifth? “I definitely thought about (skipping it) but I realized my trick just going straight over isn’t as good, so I might have gotten fourth or fifth, so I might as well try to do good while I’m here,” he said. The course proved to be very well suited to his attitude, and he employed skills he learned through the years riding a small collection of rails built into his Silverthorne backyard. It started as a fun, small project and it’s still fun, he said, though it’s grown to the point a rope tow was installed. It taught him how to navigate a slopestyle course with his own flourish. 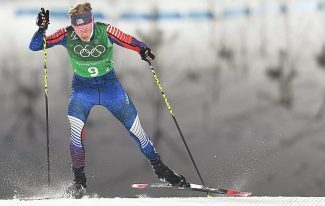 The jumps on the lower portion of the run weren’t as large as they had been at the 2014 Winter Olympics in Sochi, so the biggest tricks his competitors had hoped to ride to victory were taken off the table. A cold South Korean morning was marked by sharp gusts of wind, conditions that derailed dreams as rider after rider were pushed off their marks in the air and hit the snow. It was soon clear the competition wouldn’t be about who had the breakthrough tricks, but about who had the cleanest runs. Then among the group with the cleanest runs, Gerard was the one with the most creative, a trait baked into everything he does. He doesn’t plan on changing any of that any time soon. The next Olympics is four years away. Can fans expect to see Gerard try to defend his gold medal?